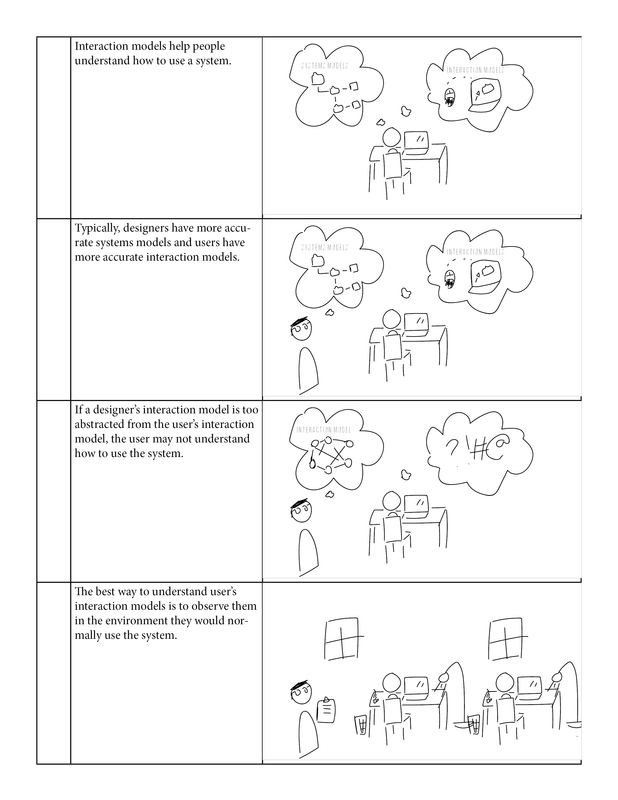 In this personal project I pursued my interest in "mental models" — how people construct understanding of how to interact with systems — using the medium of animation. 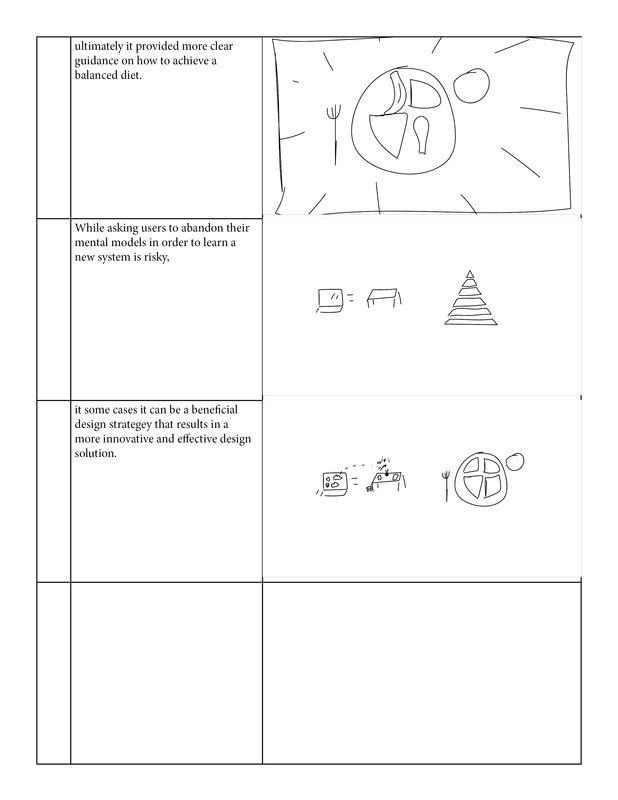 The low fidelity storyboard I drafted to tease out the narrative, imagery, and motion I wanted to use. 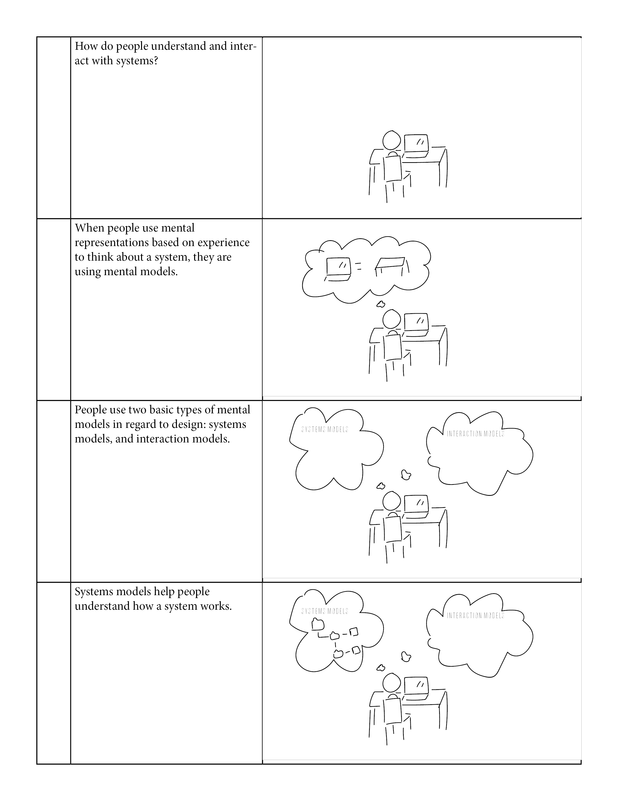 I began my research into mental models by reading the section on mental models in "Universal Principles of Design" by William Lidwell, Kritina Holden, and Jill Butler. Having gotten a basic understanding of the concept, I looked into other definitions and brainstormed how mental models manifested themselves in everyday life. As the topic can be difficult to explain, I focused on creating simple, reusable assets that would tell the story as plainly as possible. The classic example of understanding one's computer as a virtual "desktop" emerged as the most widespread explanation for how mental models influence our interaction with everyday devices and interfaces. 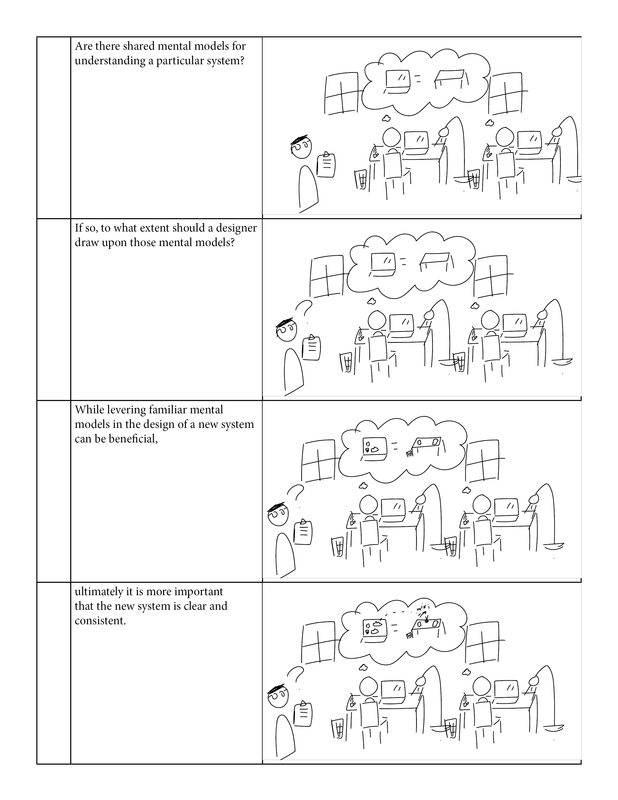 In addition to providing a widespread example of mental models that have been reinforced over time, I wanted to provide an example of a widespread mental model that has been broken or challenged. 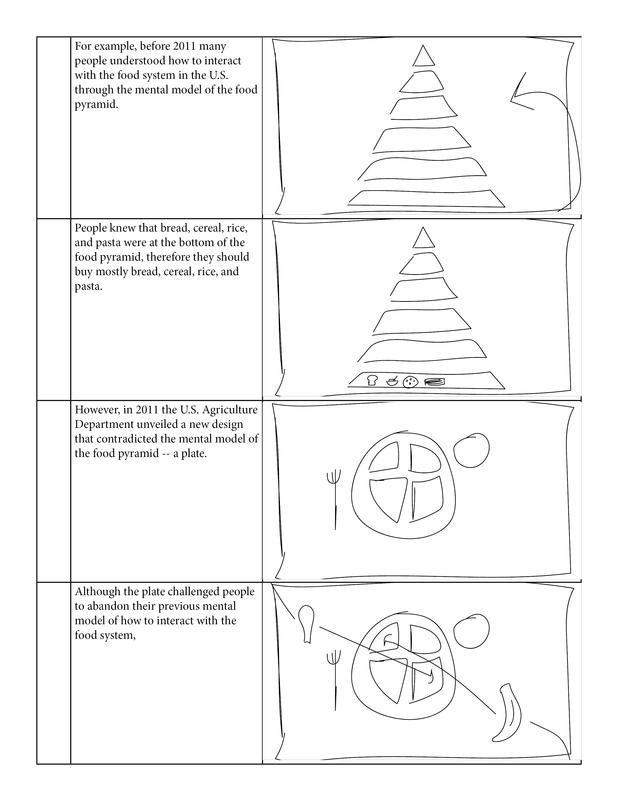 To accomplish this goal, I decided to explain the U.S. government's attempt to shift the widespread mental model of thinking about a balanced diet in terms of a pyramid to a plate. Explaining both examples help illustrate how mental models are an important but ever evolving part of our interaction with everything around us.